Born in Chicago, Illinois, on January 4, 1903 to Courtenay Barber and his wife, Leila, Leila Cook Barber received a B.A. from Bryn Mawr and a M.A. from Radcliffe. She joined the Vassar faculty as an art instructor in 1931, and during her time at the college, she served as a member of the board of residents, a faculty adviser to students, and a department consultant to undergraduate art majors. In 1936, while overseas working on her thesis, Miss Barber found herself stranded in Spain at the beginning of the Spanish Civil War. After a safe evacuation, she returned to Vassar determined to support civilian national defense programs. During World War II, she represented the Key Center of the Vassar coordinating Council for War Activities and was a member of the Council faculty advisory panel. The advisory panel helped students choose their programs of preparation for war service. She introduced the Vassar Accelerated program, a three-year A.B. program meant to train women more quickly for war and reconstruction efforts, to the wider community. Colleagues noted her special interest "in developing the cooperative living system, an integral part of the wartime program under which each student will spend one hour a day in household work, cleaning her own room and the bathrooms in her residence, setting and waiting on table." 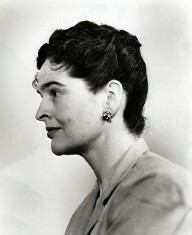 Leila Barber lived in Josselyn House from 1935 until she retired in 1968 – first as Head Resident and later as a House Fellow. She was chair of the art department from 1965 until 1968. After her retirement, she served as the Acting Dean of Studies in November and December of 1968 during Dean Daniels's absence, and then spent her time reading for the New York Studio of Recording for the Blind and traveling around the world. She was a member of the College Art Association of America, the Renaissance Society of America, and the Friends of Vassar Art Gallery, as well as a judge for various art exhibitions in New York and New England. At Vassar, Miss Barber taught a wide variety of art history courses, including the introductory Art 105. Her elegant and distinctive phrasing of presentations brimming with detail transfixed generations of Vassar students. Colleagues said, "The range of her teaching is only equaled by her inimitable style." She was best known for her teaching on Tuscan Painting of the Fourteenth and Fifteenth Century. During her years as a professor, the college recognized her abilities with two Vassar College Faculty Fellowships, and upon her retirement, the Vassar Art Gallery held a show in her honor called "The Italian Renaissance." Miss Barber remained engaged with the college. When Vassar went coed a year after her retirement, she quickly applauded the change. A special and long-remembered legacy of Miss Barber began with an appearance as Narrator for the 1956 Founder's Day festivities. Turning her distinctive style of delivery to the service of comedy, she delivered "The Art Lecture," which, when she was no longer able to present it, was a feature of faculty shows on successive Founder's Days well into the 1970s. Though she no longer lived on campus, she remained an active presence in the Vassar community until her death on December 4, 1984. Read more Art Department history. Biographical File. Leila C. Barber. Vassar College Special Collections (VCSC). Biographical File. Leila C. Barber. "Talks Honor Miss Barber" by Robin Frederick '70. VCSC. Biographical File. 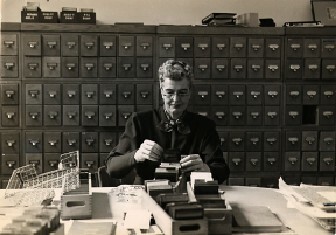 Leila C. Barber. clipping from Worcester, Mass., Gazette. 1943. VCSC.